The Xerox Star followed the Alto in 1981. The Star continued the interface style of the Alto and took it a step further. The 72 pixel wide icons had different states when clicked, which were indicated by a change of colour and functioned as feedback to the user. Dr. David Smith was one of the head designers of the Star. 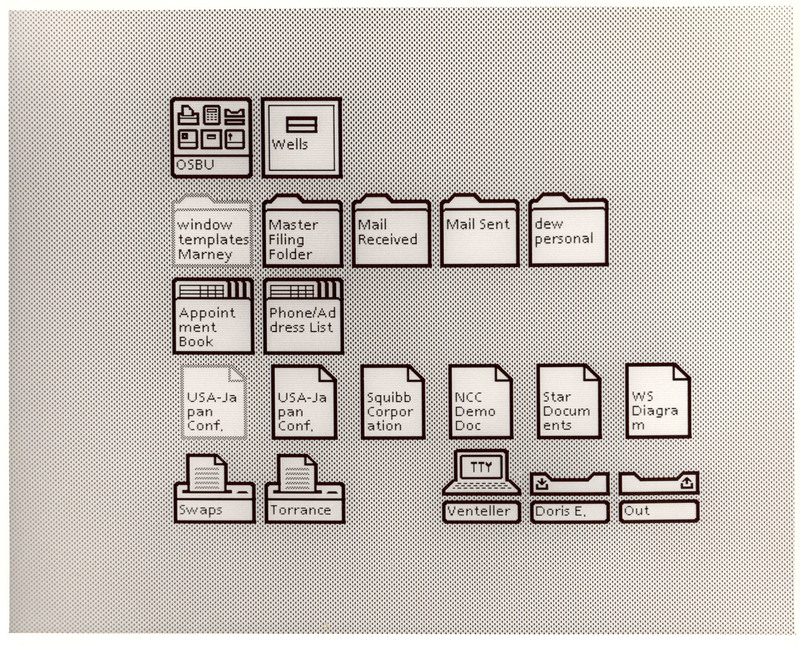 He implemented the desktop metaphor on a computer screen where different icons represented different file types. Clicking the icons opened documents in program windows. Ideas which would be further developed in Apple's Lisa and almost all computer interfaces that would follow. Despite its commercial failure the legacy of the Xerox Star's interface is unquestionable. (cc) 1998- 2014 Digibarn Computer Museum, some rights reserved under Creative Commons Attribution-Noncommercial 3.0 License.